A sweet and subtle comedy...The performances are superb. crowd pleasing...Terri above all else feels true. En anglais seulement A young misfit learns a valuable life lesson from the last person he ever thought possible in this sensitive coming of age tale from director Azazel Jacobs (The Goodtimeskid, Momma's Man). After losing his parents at a young age, overweight Terri (Jacob Wysocki) was sent to live with his uncle. Life has never been easy for the embattled young boy, and as his uncle's health begins to deteriorate, Terri becomes the target of relentless teasing by his cruel classmates. 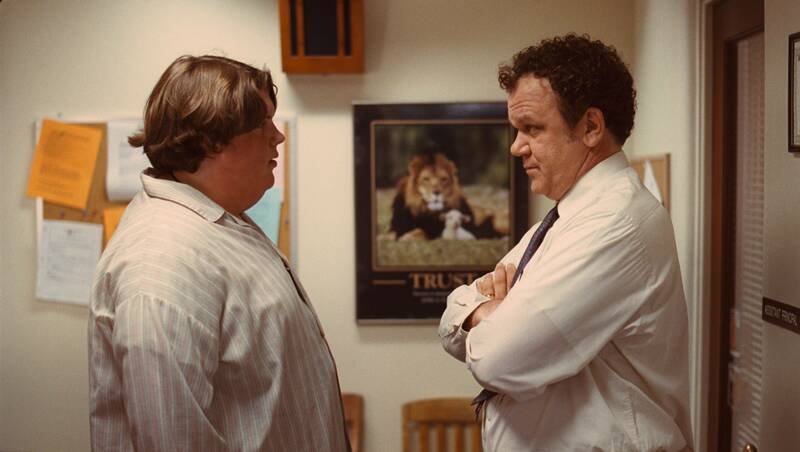 When Terri's apathetic teachers fail to offer him any guidance, his intimidating vice principal, Mr. Fitzgerald (John C. Reilly), recognizes a student in need, and reaches out to him. Through that unlikely friendship, Terri discovers that outcasts needn't endure life alone, and that by banding together, they can accomplish great things.